Gananda Central School District is excited to have "Here Comes The Bus." The first of its kind in New York State, Here Comes The Bus provides real-time data to show parents when the school bus will be arriving to pick-up/drop off their child(ren). That means no more waiting outside for long periods of time! In addition, the program provides bus drivers with real-time data as to who is currently riding their bus and utilizes GPS technology for their bus routes. your child(ren)'s student ID number(s). Student ID numbers can be found by logging into the Parent Portal. Please note: If your student's id is only four digits, you will need to add a zero to the front of the number. For example: Joe Student's ID is: 4357. To register Joe, you will need to type in: 04357. 2. 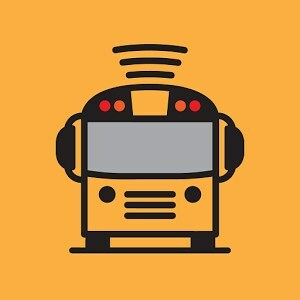 After you have registered, you can download the Here Comes The Bus app to your smartphone or tablet to receive push notifications when the bus is near or view when your child scanned on or off the bus. The app is available for free from the AppStore or GooglePlay. Students will be issued a special Bus Pass card which will be scanned as they board and depart the bus. For additional information about the program, see the Frequently Asked Question document below, or visit: HereComesTheBus.com.